It certainly seems that the Web search-engine giant Google is not going to be bound by the limited space of internet, but possibly spread its wings to the whole of technology universe at a gradual pace. Not only that, it is very much likely that Google will also lead the way to innovation in other areas of technology in order to break through the entry barriers in the particular field of technology in order to register its swift entry into other spaces with the much-needed first mover advantage. According to latest news, Google Inc in a joint initiative with Sony Corp. and Intel Corp. is all set to debut its ‘Smart TV’, which will enable users to flip seamlessly among shows, YouTube videos and home videos right from the comforts of their seats. Yes, we are well into an era where televisions sets could well be connected to the access of internet with the help of Internet television software. The revolution in television sets have seen it all from black and white TV sets to color sets to LCD panels and now even 3D LED TVs, has innovatively grown leaps and bounds to reach the current latest stage of Internet-TV. However, it’s not the first case of Internet-accessible TV being introduced. In past, even Yahoo Inc. made available social networking sites like Facebook and Twitter accessible on TV sets. But, what makes this new Google-led initiative more alluring and possibly much fundamentally sound is its partnership with leading companies such Sony and Intel. In fact, this could well be the next big opportunity for Google to extend the coverage of its operating system which is currently involved in powering Android phones and tablet computers. Well, who knows Google may well be eyeing the television advertising market, after leading the race for Web-based advertising market. Even Apple Inc has presence in the Internet-TV market space but through set-top boxes (STB) to let user access internet on wider screens. But, wouldn’t you like your TV set without an add-on connections like STB, to access internet through Google’s software inbuilt Internet-TV? 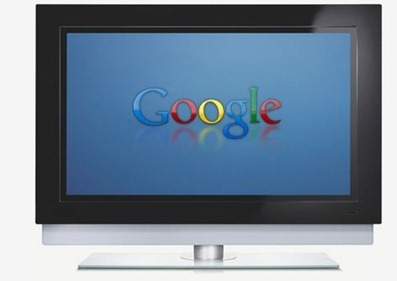 Let’s see who wins this race of Apple and Google for Internet-TV? Woohoo ! Kindle App coming to Android ! Whatsapp’s New Feature Will Change The Way You Reply – Find Out What It Is!